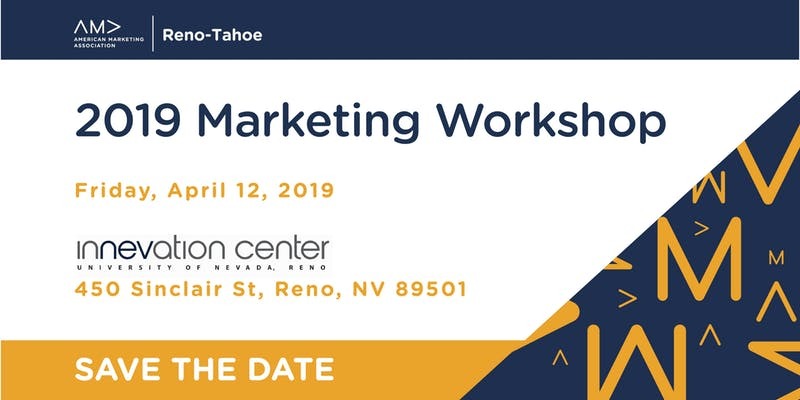 Join the Reno Tahoe American Marketing Association for our Seventh Annual Marketing Workshop, where you will learn from some of the brightest minds in the industry. Whether you’re just getting started, or are a seasoned marketing professional, there is a session for you! This workshop will feature speakers from varying backgrounds to help you expand your knowledge and leave with key takeaways to implement at your business and help grow your presence. Come join us for a day full of learning on Friday, April 12th from 10am – 4pm. On April 12th, you will enjoy incredible speakers covering an array of topics. Speakers will be announced soon!